CHICAGO - I was talking to an NBA general manager earlier this season about DeMarcus Cousins, the best player in the NBA most likely to be traded, or at least so we’ll hear for the next few months. Actually, I had asked the executive who was the most talented player in the NBA. He believed it was DeMarcus Cousins. I asked whom on his team he would trade for Cousins, who is much rumored the last few years to be traded for the constant under-performing of the Sacramento Kings. He said he wouldn’t trade his 15th man for Cousins, that he wouldn’t let him in his locker room, that no one in the NBA today could likely more destroy a team than Cousins. But he said he really loved his talent. 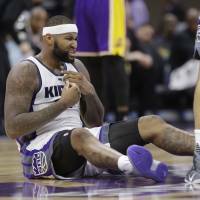 And so is the story of Cousins, whose latest outrage was a blowout with a media member in Sacramento last week. Harsh, sure, with expletives and threats and all that over the local newspaper mentioning Cousins’ brother also having been in trouble off the court like Cousins. But stuff like that has happened before in the awkward world of sports and sports writing, where players minutes after a game and often not dressed are subjected to inquiries about their failures (and successes, of course). So perhaps Cousins overreacted, though that’s not why he’s so regarded as team poison. It’s rare in the history of the NBA when we’ve seen someone so talented, an unusual ability for a 7-footer to handle the ball, shoot and pass, who has such selfish basketball habits and instincts, who has such a terrifying and overwhelming personality that he paralyzes an entire organization. There have been players like Cousins before, generally big men because they have been the Holy Grail of the NBA, if not so much anymore, whose behavior and attitude have bankrupted their talent. Players like Joe Barry Carroll, Chris Washburn, Benoit Benjamin and many years ago, Reggie Harding, come to mind. But that was also, and until very recently, a different basketball time. It seemed like you would always need a great big man to succeed, as teams did from the start of the NBA with George Mikan, Bill Russell, Wilt Chamberlain and on through the likes of Willis Reed, Wes Unseld, Kareem and Shaq. Not so much anymore as the changes in the rules, the style of play and 3-point shooting have made the NBA very much a guards’ game. Big men still are vital, but the most productive, like Andre Drummond, Hassan Whiteside, Dwight Howard and DeAndre Jordan, no longer guarantee success. Even Anthony Davis. Which makes a player like Cousins, despite incredible statistics, averaging almost 29 points and more than 10 rebounds and three assists, not as intrinsically valuable. In five of Cousins’ six seasons, the Kings failed to win 30 games. Last season’s 33 was his high water mark as a player. Sure, it’s a dysfunctional franchise with erratic ownership and management and frequent coaching changes, but NBA media members always miss the point on Cousins. He’s not a great player. He’s a great talent. You cannot be a great player if your team routinely finishes last in the conference and has lost 65 percent of the games you’ve played in. And are headed to another 30-win season and why there’s so much talk now of Cousins finally being traded with his contract expiring after next season. The Kings will have to do so to save the franchise and their sanity, though they missed their opportunity. It was last summer with the Kings this season moving into a new downtown arena. A first-year arena sells itself. The franchise fear, understandably, was of trading away its best player, or, at least, talent. Though going into a new arena with a core of young players from draft picks could have given the community a new team to support. 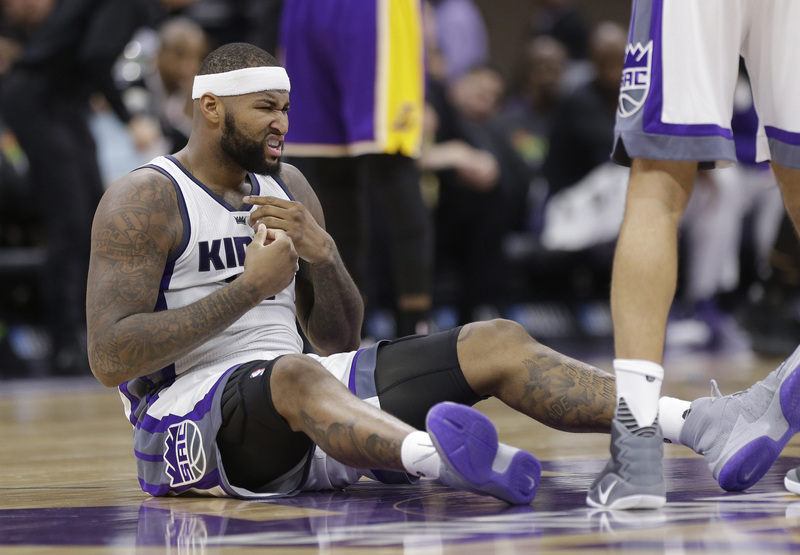 Typical of the Kings, they squandered that opportunity with Cousins’ value now diminished again with his latest antics, which also include a nightclub incident in New York recently still being examined and potentially litigated. Cousins has had NBA success, though not in the NBA. It was with the USA team, which seems basically the only environment where a player like Cousins can prosper. He’s, as has been described in Sacramento, a bully who intimidates coaches, management, teammates. He couldn’t do that with the Olympic team because players were better than he was and the coach was more accomplished. So if you can have him coached by Gregg Popovich and play with the Golden State Warriors he’d play a role, rebound, set screens, set up in the post. Otherwise, forget it. I actually watch the Kings a lot because in a perverse way I love watching Cousins. Nobody in the NBA plays basketball so stupidly and selfishly. Dave Joerger is the latest coach too intimidated to say anything. The broadcasters recite a version of Orson Welles’ fake “War of the Worlds,” a fictional version of what is occurring. His teammates stand around in a mixture of awe and confusion in the combination of being ignored, except at his interest, and seeing behavior that would be condemned everywhere else they’ve ever played. Cousins can basically score on anyone with a combination of a rare 3-point shooting touch and power that might match Shaq or Wilt. But he’ll routinely take the inbounds pass and dribble around for 20 seconds, stand outside and shoot from 8 meters while the guards are inside. Cousins passes with a soft touch, but not according to any actual plan. He throws himself at the basket and complains every single time. Then he rarely runs back on defense as a result. He broods, then unleashes fury at some official or teammate or opponent. It’s no coincidence the Kings have been the league’s most underachieving team since he’s been there. Now, someone will give him a chance. Benjamin played for nine NBA teams. Teams always do on talent. It might be someone desperate who can’t seem to make that last big step, like the Celtics. Maybe the Mavericks since Mark Cuban likes risk and they’re going for a rebuild and need a name. Perhaps the Suns, who have bottomed out, or the Heat as Pat Riley always believes he can salvage someone. Washington, which is fighting for the playoffs yet again, or Orlando, whose management has gone through several development projects. It will be big news, and that city’s fans will be excited, and then everyone will regret it and the Kings will be the biggest beneficiaries and most relieved.